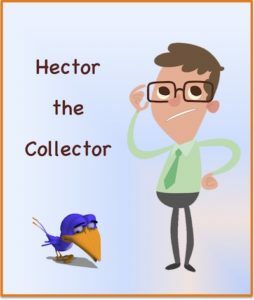 Walking the Thin Line of Sympathy - Credit Mediators Inc.
It’s Hector the Collector and as always, I enjoy sharing my collection ideas with you. As I was recently asked about how far collectors should go in getting involved in a debtor’s personal struggles, let me take a moment to share my thoughts on this question. We collectors speak to hundreds of people in a month and based on the person’s gender, age, professional level, location, and many other factors, our communication approach and style will require a great deal of adjustment. For example, discussing an outstanding debt with someone who is considerably older may often require a much slower rhythm. Conversely, a much younger and high paced sounding individual may call for a stronger and faster tempo. Considering that we have only a few seconds to make a first impression, which conveys a feeling of trust, adjusting our style to fit the other party and their situation is all part of a smart collection techniques strategy. In the course of confirming when payment will be forthcoming, we may sometimes hear about difficulties that the company and its leadership are experiencing. The hardships that pertain to health issues can be particularly challenging to grapple with during a collection call. Every hardship case is unique and trying to keep the lines of communication open, providing a feeling of comfort in order to gently evaluate the information being described, is paramount. At the same time, the balancing act between being a compassionate human being and still trying to confirm the possibility of payment is the challenge. The skill of a collector is being able to walk this thin line of sympathy. When a collector appears cold and detached from another person’s issues, they may receive a cold shoulder in return. At the same time when a collector becomes too involved in the personal issues, the collection matter can easily get lost. So what’s the bottom line? It comes down to having a great deal of experience in dealing successfully with all kinds of people and situations. Learning to skillfully navigate the nuances of human relations is absolutely key in resolving collection issues, especially when personal hardships seem to be legitimately at the core of the payment problem.